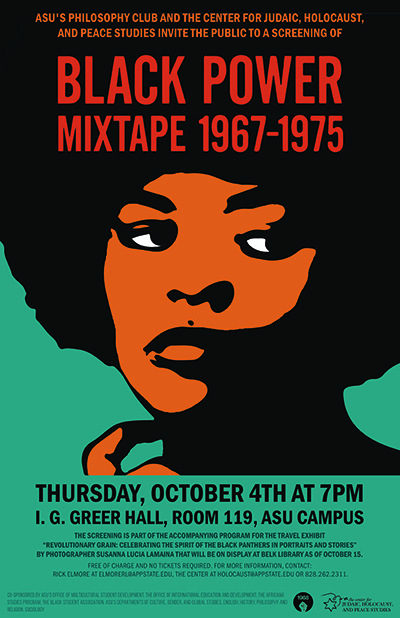 The Center for Judaic, Holocaust and Peace Studies partners with ASU's Philosophy Club to screen the acclaimed 2011-released film The Black Power Mixtape 1967-1975. It will take place in I.G. Greer Hall, Room 119, on Thursday, October 4, at 7:00 pm. The film by Goeran Olsson evolves around 16mm film material shot by a team of Swedish journalists during a late 1960s visit to the U.S. to document the Black Freedom movement as well as the ongoing mostly urban revolts. It includes insightful interviews with key figures in SNCC, the Black Panther Party and activists close to them, including Stokeley Carmichael, Bobby Seale, and Angela Davis. The film screening opens the Center's programming on the Black Freedom Struggle during this anniversary year and is part of the accompanying events for the traveling exhibit "Revolutionary Grain: Celebrating the Spirit of the Black Panther Party in Portraits and Stories" by photographer Suzun Lucia Lamaina. 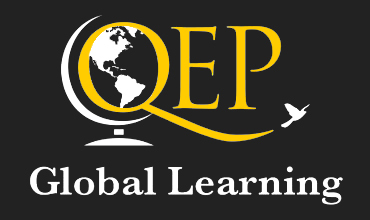 The events co-sponsors include Belk Library and Information Commons, ASU's Office of Multicultural Student Development, the Office of International Education and Development; the Africana Studies Program; the Black Student Association, and many others. 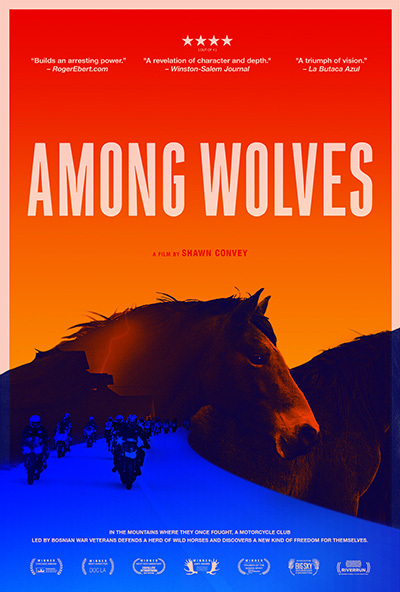 The Center proudly supports the screening of the acclaimed 2016 film Among Wolves" and subsequent discussion with its director Shawn Convey. The events will take place in Greenbriar Theater on the second floor of Plemmons Student Union (PSU) on Thursday, September 27. The program will start at 5:00 pm and is free of charge. An observational documentary film, the Croation-language Among Wolves (with English subtitles) centers on a group of men who struggles with the repercussions and in the aftermath of war. The Wolves, a multi-ethnic motorcycle club headed by Bosnian War veterans, seek to protect a herd of wild horses in the mountains where they once fought. In cooperating, they inch closer to controlling their fate and, ultimately, seem to be emerging from the shadow of war.The event is organized by Dr. B. Candar (English Department) who also teaches a course in the JHP minor.